In spring 2013 Dudendance collaborated with Dora de Andrade and the dance facility of UNICAMP Dance dept. 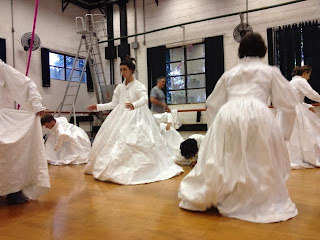 to run a series of workshops that explored the movement quality of working in the dresses. 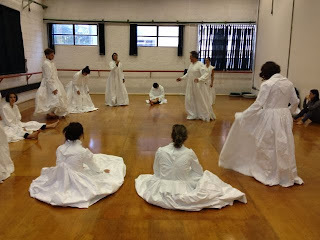 The project, along with subsequent workshops and performances in Sao Carlos and SESC Araraquara were supported through the British Council / Creative Scotland Transform-UK Brasil. The collaboration will continue in the Borders when a small group from Brasil will join the project in June. Five day workshop in UNICAMP dance dept. for students, teachers and PHD researchers.